Ideal for use with all play kitchens! 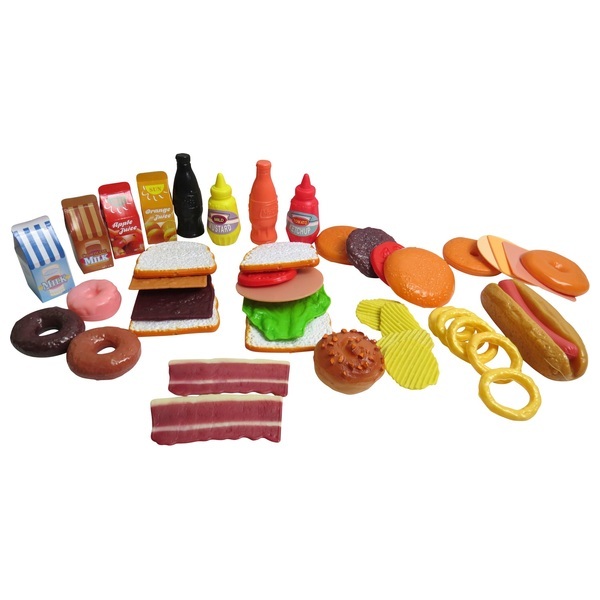 43pcs food play set including plastic doughnuts, bacon rashers, crisps, hotdog, onion rings, sandwiches, drinks, condiments and more! Allow your child's creativity and imagination to run wild as they pretend they are running their own deli. They can imagine they are serving the realistic looking food in this set, from hotdogs to doughnuts, and enjoy hours of fun.